On Wednesday April 18th, 2012 the Business Marketing Association of Chicago hosted a breakfast seminar called "Social Media and the Art of Cause Marketing." BMA Chicago hosted the event and invited companies that engage in cause marketing initiatives to share their success story and how they used social networking to help an important cause and generate brand awareness. What is Cause Marketing? Cause Marketing refers to a type of marketing involving the cooperative efforts of a "for profit" business and a non-profit organization for mutual benefit. AmpliVox Sound Systems had the opportunity to present the Pink Podium Promise which has been able to bless several hundred breast cancer awareness events across the country. 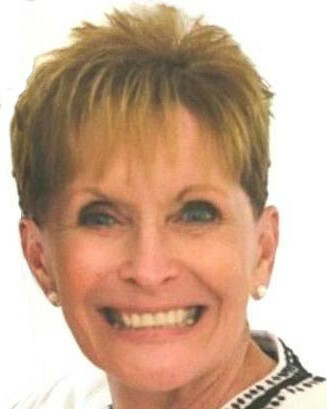 Other presenters included McGladrey Consulting as well as Got Autism? 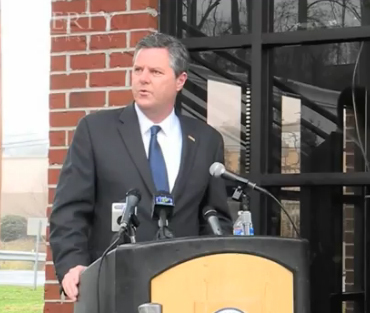 The four-part video below showcases the event. Recently, the popular television show "Modern Family" had an episode titled "Election Day." 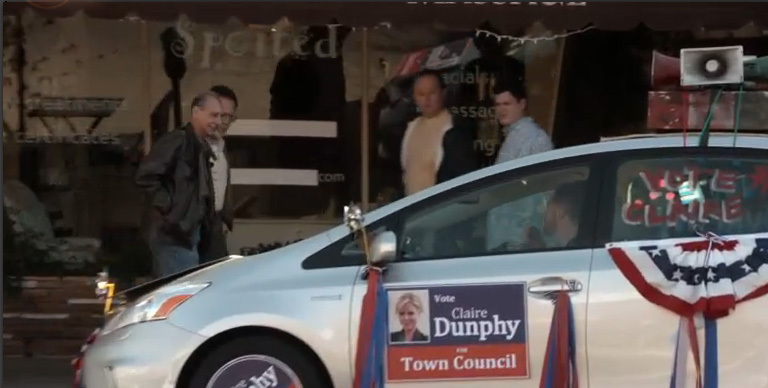 The episode involves the quirky character Claire running for public office. Naturally on election day, her campaign team needed a clear and powerful way to communicate their campaign message. They turned to the Quad-Horn Sound Cruiser from AmpliVox Sound Systems. 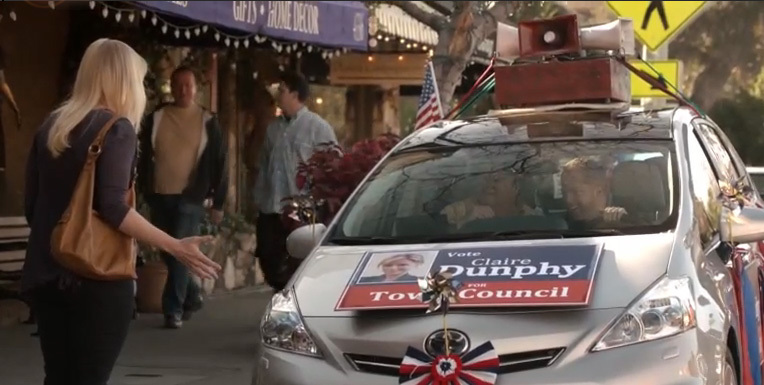 During the episode, Cameron and Mitchell drive around town promoting Claire's campaign and also have a little fun with the crystal clear sound that the Sound Cruiser provides. "It is an instrument of power!" 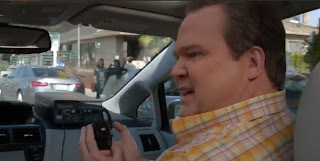 AmpliVox Powers 'Modern Family' from AmpliVox Sound Systems on Vimeo. Throughout the episode, there are several clear shots of the S805 PA Amplifer and microphone that comes with the Sound Cruiser sitting on the dashboard. The featured Sound Cruiser is a vintage one that bears witness to the long-lasting quality of AmpliVox PA Systems. We believe in the superior quality of the Sound Cruiser so much that we back it up with an industry-leading 6 year warranty! The Sound Cruiser is either powered with rechargeable batteries or with a DC car adapter, plugging into the cigarette lighter. 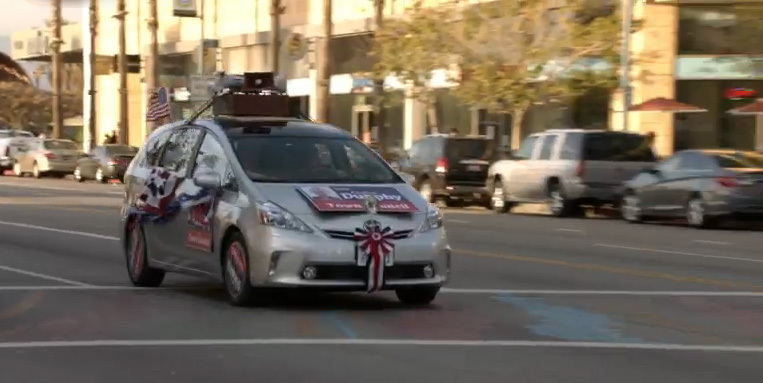 YouTube Comedian Edbassmaster used our Car PA System for Pranks in "Look at This Sound Cruiser" Video. To view the full episode "Election Day" click on the link. AmpliVox is now giving away a podium lamp with every lectern now purchased. This lectern lamp can be placed on the top of a lectern to help shed some light on the presenters notes. It can be useful in hardly lit rooms. It is battery operated and powered by 12 mini LED lights for a natural lighting. It has a sturdy base with a flexible metal arm to fit the needs of the presenter. 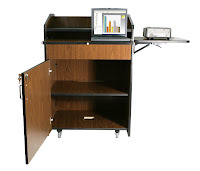 It has a low profile to not get in the way of the presenter's notes or gestures during the speech. This would make a great podium lamp for any occasion. Don't Worry about the lighting in the room you are presenting in, we have you covered. If you would like one of these lamps with your podium for free, please mention it when completing your order. 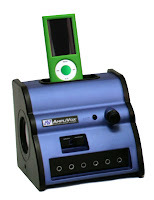 We also offer more Lectern Lamps at Ampli.com. 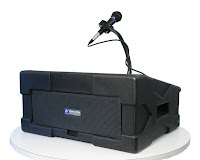 View our Lecterns, Podiums, and Pulpits Playlist on YouTube for more information about our products. 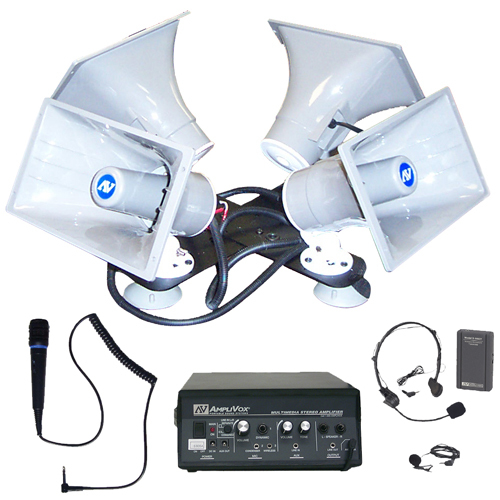 AmpliVox offers many products useful to boaters in emergency situations for enhanced communication across long distances. 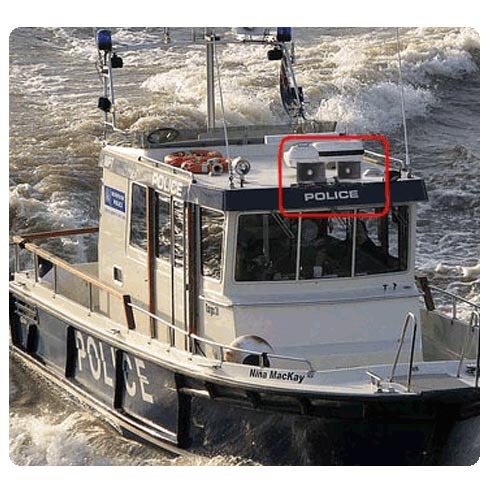 If you ever need to communicate with emergency personal, other boats or people on a dock. The Half Mile Hailer is a great option. It has a range capable of a half mile. It would be very helpful in an emergency situation to relay your message to fellow boaters, on-lookers, or medical assistance. Weather resistance is one of its key qualities. Don't worry if it rains or if the system gets wet. It will still power through all the elements thrown at it. The Sound Cruiser can be attached to your boat and be used in all kinds of situations. 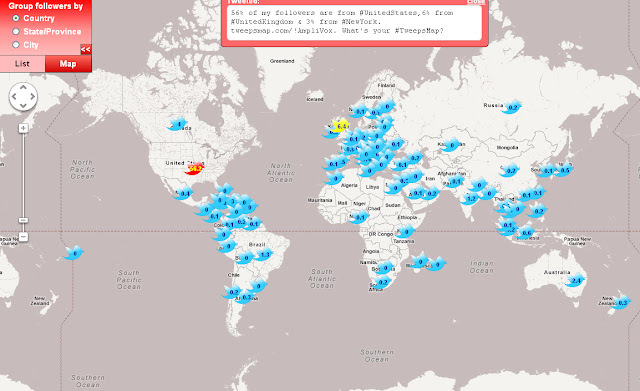 Need to send a message to a mass amount of people but stuck in your car? Take a look at the Sound Cruiser. 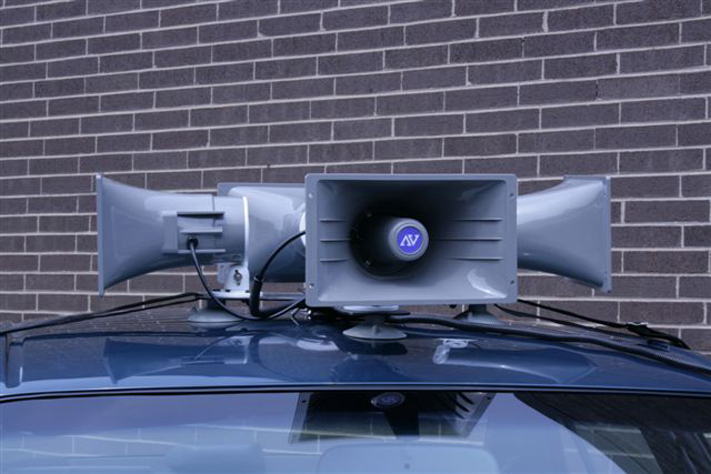 It is a duel horn/PA system that can mount on the top of your vehicle to ensure that your voice will be heard. Larry G. from the Kansas City area shared his experience with us. "It rained continuously for 40 hours in varying amounts. 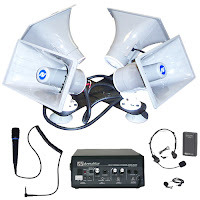 When it became imperative to alert our campers of the flood warnings and the developing hazards the only way we had was to use the Sound Cruiser public address system. Lives and property may have been spared because of the alert. Some of the campers sheltering in their RV's had no idea of the rising waters. 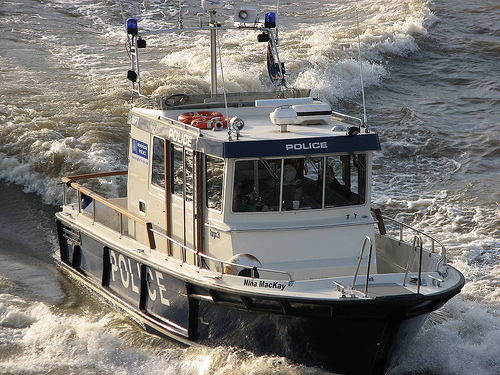 I relate this event because an integral part of our warning was the Sound Cruiser public address system." 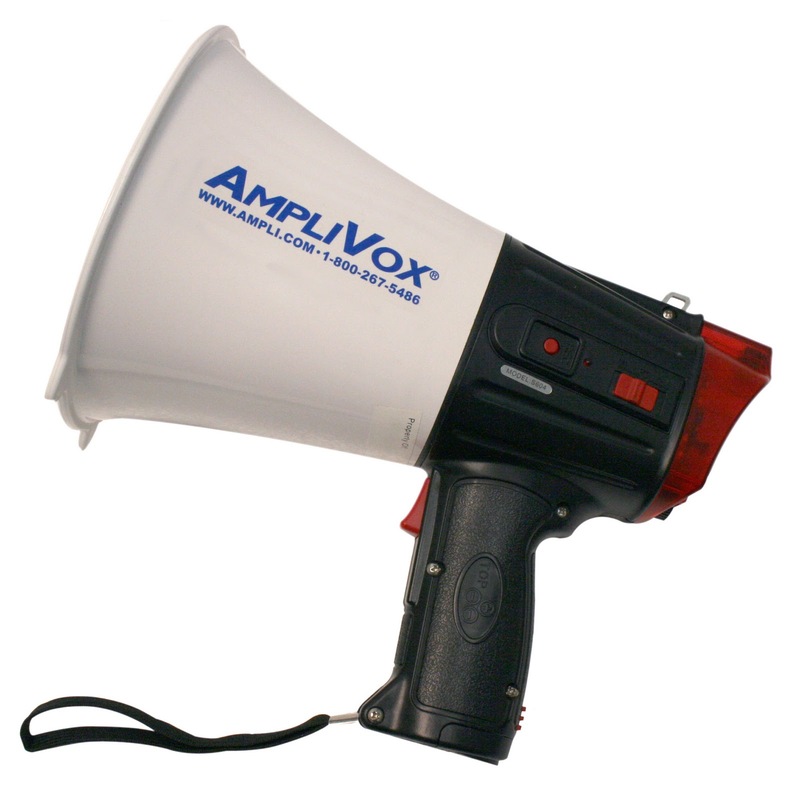 AmpliVox offers a variety of Megaphones which can vary in use. They would make a great way to communicate with a water skier or other water vessels. All of the megaphones offer 20+ hours of talk time with some exceeding 40 hours. 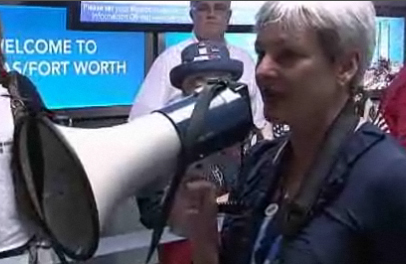 None of the megaphones exceed 2lbs so they are lightweight and portable. We also offer products that would be great for music listening. What is better then kicking back in the sun, on the water, while listing to some great music, with all your friends. Bring the party to your water bound vessel with these AmpliVox products. The Ipod Wireless PA System is a great choice for bring some of your favorite songs out on the water with you. It is battery powered so charge it and bring it out on the boat. Recharge your iPod while it is docked on the PA system. It also has a voice priority system built in, so if your are listening to music and talk into the mic the music will automatically lower in volume. The Mity-Vox is a smaller alternative. If you have minimal space on your sailboat or speed boat this is the PA system you are looking for. It is smaller in size and it is very portable. 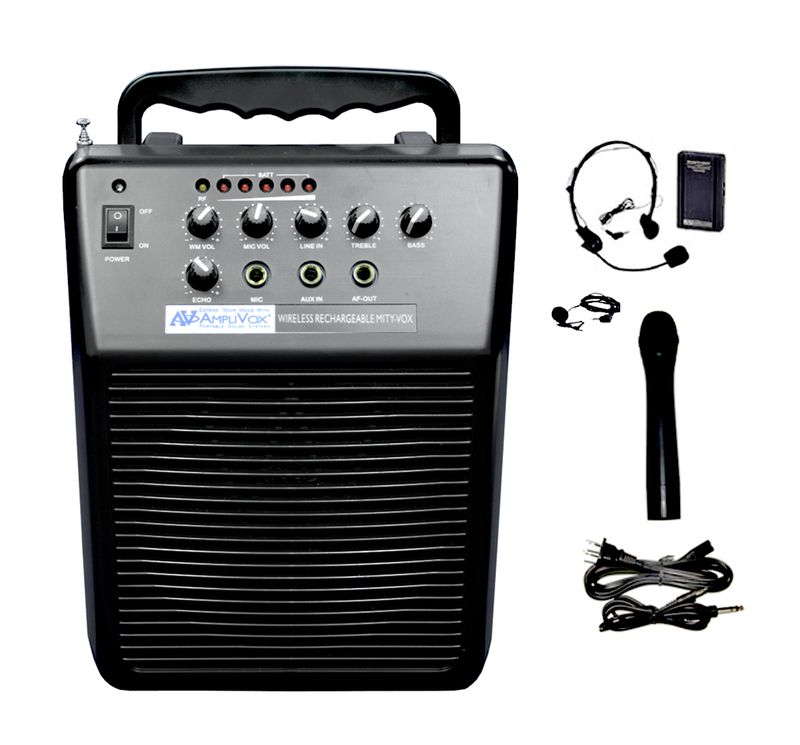 It still is powerful enough for your you and all your guests to hear. These products can save your life and be the life of the party. Please visit Ampli.com to learn more about all of these products. Technology can be an invaluable resource for educators trying to reach their students with relevant teaching tools and programs. This blog has already addressed 10 Reasons for Integrating Technology in the Classroom and would now like to share the following infographic on the History of Education & Technology. Starting with cavemen and moving towards the rapidly progressing present, this infographic shares different trends in teaching along with relevant statistics. Tell us what you think in a comment! 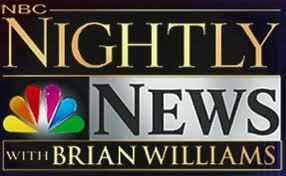 NBC Nightly News recently aired a story on a volunteer program in Dallas, Texas, called "Welcome Home A Hero" that would greet American soldiers as they returned from service in Afghanistan. In order to best organize volunteers and give soldiers the biggest welcome, event coordinators turned to the AmpliVox MityMeg Plus S602 megaphone with detachable mic. The video below is a heartwarming video that showcases the well wishing and good work done by the "Welcome Home A Hero" folks. If you skip to the 1:52 mark in the video you will see the AmpliVox Megaphone!